CulturePass is your window into the artistic and cultural richness of the greater international Passamaquoddy region including Cobscook and Passamaquoddy Bays and the St. Croix River. New Moon Theatre, under the auspices of the St. Andrews Arts Council, in collaboration with Stage East will bring a production of Michael Tremblay’s Albertine in Five Times to Eastport Arts Center for performances at 7 pm on Thursday, November 8 and Friday, November 9. These shows conclude the production’s three-city tour, which included performances in St. Andrews and Fredericton, NB. In Albertine in Five Times, a woman at 70 faces her past. Canadian playwright, Michel Tremblay, hits on a painful reality that an older woman has more years behind than in front of her. Memory has a way of disguising the truth, but Albertine comes to terms with the drama of her history through her younger selves. We meet not one Albertine, but five Albertines, each one representing a successive decade along the path that is her life. 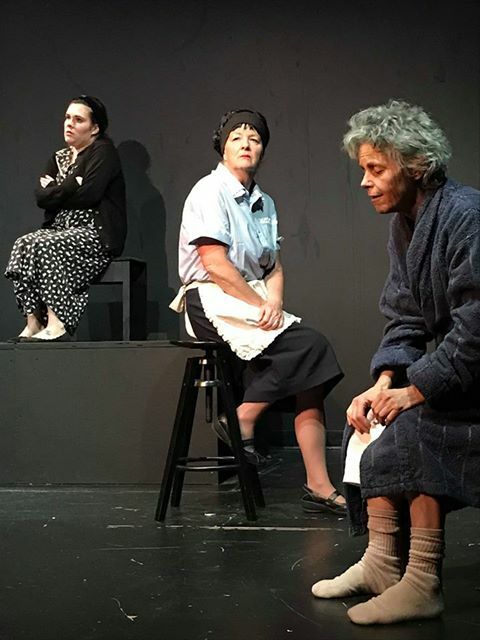 The play opens with Albertine at 70 entering a home for the elderly. Albertine at 30, 40, 50, and 60 appear, each with a story to tell. Tickets are $12 and may be purchased at the door or at eastportartscenter.org. The Eastport Arts Center (EAC) is at 36 Washington Street, Eastport, and is handicapped-accessible. The work of the EAC has been funded in part by a grant from the Maine Arts Commission, an independent state agency supported by the National Endowment for the Arts. For media inquiries about Albertine in Five Times, please contact Peggy Fothergill at peggyfothergill1@gmail.com. © 2012 - 2018 Tides Institute & Museum of Art.